With a 2pm sailing I had plenty of time to get to Picton so I decided to take my time and get in one last dose of gravel around Port Underwood. After my last fill of South Island Super I cruised across Nelson and found myself at the bottom of the Whangamoa's. This and the Rai Saddle are always a favourite and although there were a few sections of roadworks to get through it was just as good as I'd remembered. In Havelock I ignored my normal turn-off (to go through Queen Charlotte Sound) and stuck to the more boring ride on SH6 until the turn-off to Spring Creek. At Spring Creek I went straight ahead and started making for the Coast. After pootling through Rarangi the road quickly becomes narrow and windy, eventually the seal ends and you're riding on narrow, windy gravel. In places the road was a little corrugated and there was even the odd soft bit from the previous day's rain. Along the way the road rises and falls and takes you past a number of little bays, the first of those that I stopped at was Robin Hood Bay. The last little bay I stopped at was Oyster Bay which is just around the corner from Hakahaka Bay - a checkpoint on the 2016 TT. From Hakahaka Bay the road was seal again and eventually had me Picton with plenty of time on my hands. I parked up at a cafe for a while but quickly got bored so rode up to the lookout to kill a bit more time. Sight-seeing over I dropped back down the hill and queued up for the ferry parking behind a GSX250 "Tourer" that had been exploring over in Golden Bay. The crossing wasn't too bad although there was the odd bump out in the middle. Arriving in Wellington over an hour late meant that the traffic out of town was a lot better than normal and I also got to ride on the new bypass a Parapram - it hadn't been open when I came South. Apart from one nasty incident when I thought I was going to see some boy-racers die in a head-on (not quite sure how they got away with it), it was a quiet ride home and I think I was parked up around 8:30pm after nearly 6,500 fantastic kms. What a trip! Absolutely excellent series of posts Andrew, well done. Outstanding photos, particularly the ones on the inland trails. 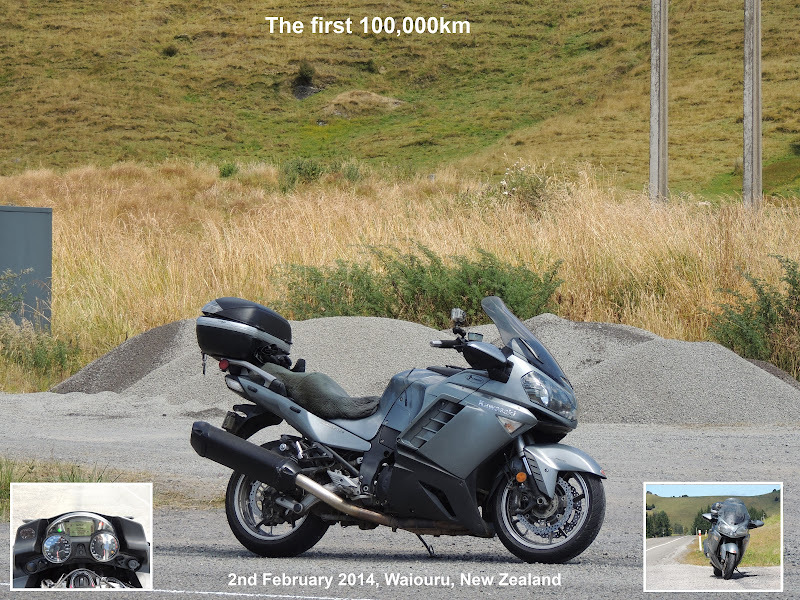 Nothing quite like the south island for bikes eh? A friend from Scotland has done it twice with his wife, including a bit of the north island and he still raves about it. Lots of wild tuskers on the Coromandel Peninsula. I had 4 piglets run across the road in front of me a few weeks ago! Over 6500km, wow. Kudos to you. And here I thought you only chased the sheep on the bike. Now you're disturbing pigs too. 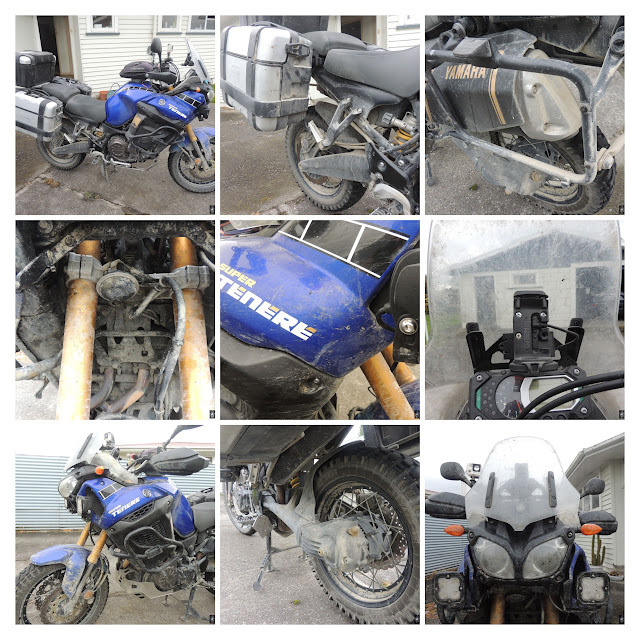 Who knew the Tenere was a hunter? Thanks for taking the time to write about your adventure. No probs. Nice to be able to share my fun. Mate this was a superb write up and a fantastic bunch of photos to go along with it too. Looks like a pretty grueling bike trip and I bet you were glad to be home. I Bet your now thinking of your next big bike trip though, it's hard to keep the bug at bay for too long. Reminds me I have so much still I want to see there. TT2000 Write-up - Days 3-5 - The TT!